Bill Clinton was born on August 19, 1946 in Hope, Arkansas. In 1975, he married Hillary Rodham. The following year, he was elected attorney general of Arkansas, and in 1978 he won the governorship, becoming the youngest governor the country had seen in 40 years. Clinton was elected president in 1992. 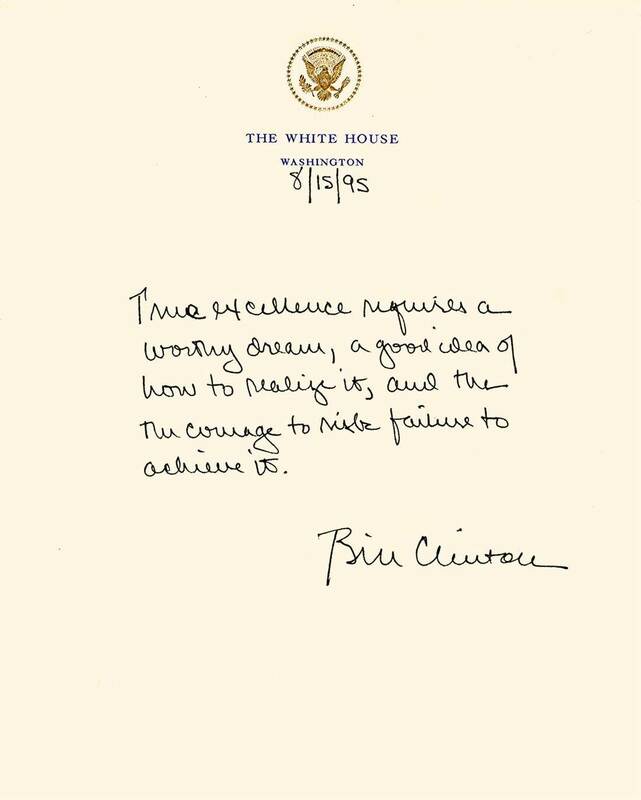 "True excellence requires a worthy dream, a good idea of how to realize it, and the courage to risk failure to achieve it."